Instructional DVD’s can be one of the best ways to supplement your usual training in the comfort of your own home. We all lead busy lives and sometimes you can’t get to class on time or you’re working late in the office and miss the class altogether. It’s a pain but it happens. You finally get home after missing the class but you still have that nagging itch to train. With these DVD’s, you can pop one in and continue to learn. Many of the films teach solo drills that you can do without needing a partner, but if you do have someone else at home you can train with then fantastic. Or maybe you don’t feel like actually training but would still like to watch an expert discuss and display intricacies to certain positions or moves that you don’t get to see in class. These films can be paused and rewinded as many times as you wish so you can see every intricate detail of the techniques being showcased. Not like in class, where you miss something but feel hesitant to ask your instructor to repeat it due to holding up the class, feeling silly, etc. Any of the following DVD sets are an excellent addition to your library and will give you an edge over your competition. If you are a female trainee or a smaller guy, this DVD set could be vital to your game. Instructed by black belts Emily Kwok and Stephan Kesting, they guide you through how to shape your game specifically as a smaller person. Smaller grapplers cannot rely on strength, luck or powering themselves out of disadvantageous positions and submissions. Your game has to be specific and highly technical in order to overcome those who have superior size and strength. And this 5 DVD set tells you how. The first DVD covers warm-ups and drills to get you warmed up, limber and to prevent injury. In DVD number 2, Emily shares her favourite guard positions, passes and escapes that work wonders against the larger assailant. DVD number 3 guides you through Emily’s top 5 tried-and-tested moves that she has used in tournament successfully against much bigger opponents. The last two DVD’s are bonus content including an interview with Emily Kwok and an introduction to Total Body Stability, which is a system used to strengthen and stabilise fragile joints and muscles. If you follow BJJ as a sport in any capacity, you have almost definitely heard the name, Cobrinha. Ruben ‘Cobrinha’ Charles is a legend in the sport and a 3 time BJJ world champion, so you can rest assured that he knows what he’s talking about. This collection covers his favourite and most successful techniques that he has used on his way to winning 3 gi world championships and 2 no-gi championships. This set features 7 volumes, with each covering a specific position or submission, including his infamous half guard and the omoplata. Every technique is covered in fine detail with no angle left uncovered. With the excellent instruction and the professional camera and lighting work, you miss nothing out. It also includes footage of Cobrinha actually using these exact same moves in competition, so you know it’s legit. These days, almost all BJJ schools focus on sport and sport only. Some gyms might teach the occasional self defence move or a rare class focused on how to stay safe on the streets. But they are few and far between. If you don’t really care about the sport aspect and are more interested in learning the pure Gracie self defence system, then your choices are limited. 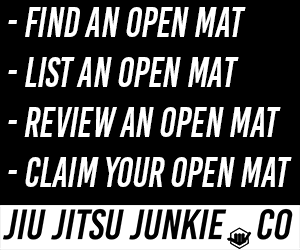 The closest self defence based BJJ academy is probably hours away. Your next best option is the Gracie Combatives DVD set. Ryron and Rener Gracie are grandsons of Helio Gracie. Who with his elder brother, Carlos, was the creator of BJJ as we know it today. They live and breathe self defence and it shows in this extensive set. This particular course was originally designed for US army. The course runs you over 600 techniques, including the 36 techniques which Helio Gracie himself felt were the most vital and essential for self defence. This 13 disc set is absolutely packed with quality content, so you won’t be running out of learning material for a while. Leg-locks are a vital part of BJJ but most gyms flat-out do not teach them. If you’re a white belt, there’s a good chance that you will never see or experience a leg lock until you get your blue belt, or higher. And even then, there’s a good chance your gym will forbid them. Rigan Machado teaches you what you won’t see in class. Rigan is a BJJ world champion and instructor of people like Eddie Bravo and Joe Rogan. He’s also famous for coming extremely close to beating the legendary Rickson Gracie in competition. In this DVD, he guides you through various leg-locks including knee-bars, heel hooks, toeholds and straight ankle locks. If you’re serious about competing, this DVD could be a lifesaver. At the higher ranks, leg locks will show themselves in competition and you will want to know how to defend against them at least. 5 hours spread out over 3 discs of just pure deep half guard. If the deep half guard was something that you were intrigued about or even a position that you regularly use, you will learn a lot from this set. By the end of the five hours, you will know everything there is to know about the deep half and be ready to use it effectively on the mats. Whilst he has achieved recent success in MMA, Ryan Hall was revolutionary in the BJJ world when he burst on the scene. Showcasing new moves, new positions and new ways of thinking about BJJ as an art and a sport. This is part of a long series of DVD’s where Ryan goes into incredible detail on one specific position/move. If you’re looking to supplement your game beyond the gym then instructionals are a great way to do out. Our favourite has to be Ryan Hall’s [amazon_textlink asin=’B0056ACL9M’ text=’Deep Half Guard Set’ template=’ProductLink’ store=’attacktheba01-20′ marketplace=’US’ link_id=’ab0f5bfd-f8dd-11e6-aab4-e5d71281c565′].